Afraid someone is stealing from you? Want to keep an eye on employees? 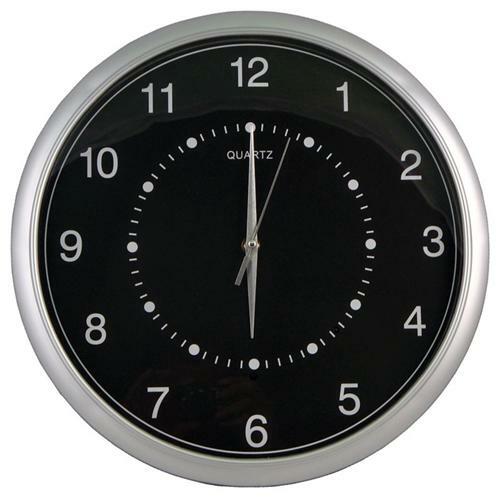 By hanging this working wall clock on the wall and plug it into the wall and you instantly can track and surveil all the traffic coming and going. The motion detection recording camera will record any motion. Plus, you won’t miss anything because the recording includes 3 seconds of action before any motion activates the recording. There is no need to constantly recharge the battery because the clock is powered through the included wall plug. The recordings will also overwrite older videos when the MicroSD card is full. Starting and stopping motion sensed recordings or constantly recordings is really simple. A push of a button on the remote control can set the clock to either option.